Our packages are usually weekly with arrival and departure on Fridays, but can be changed to more or less days, subject to availability. 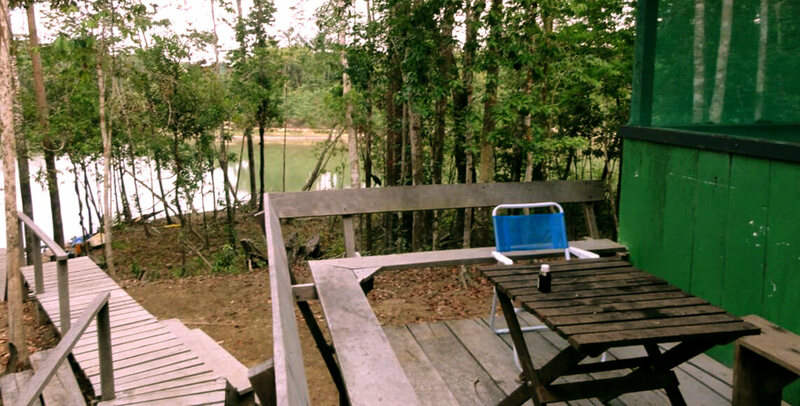 The Pousada Rio Roosevelt offers activities such as: Sports Fishing, Bird watching, animals and butterflies. We offer special discount and the hostel closed for group above 14 fishermen! Next Friday: às 08:00 hs Pousada / Porto Velho (07 dias inteiros de pescaria). Sendo possível embarque de retorno à Cidade Origem a partir das 09:20min! 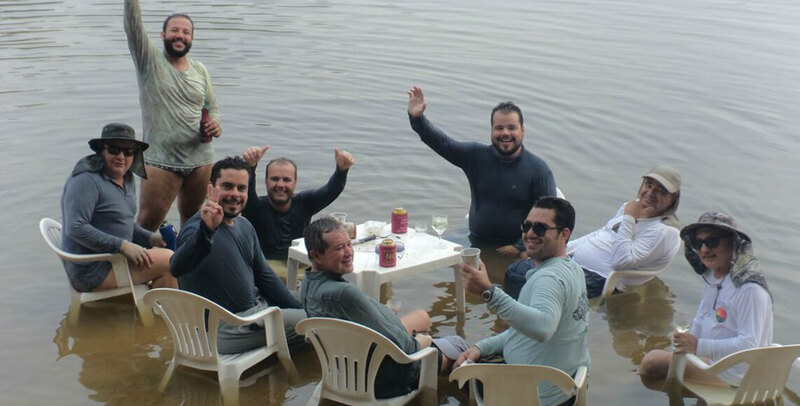 Beverages not mentioned above / Overnight and transfers (airport / hotel / airport) in Porto Velho / live baits (we can arrange live bait as tuvira and minhocuçu) / License IBAMA / Stopovers in outposts / gratuities to guides, kitchen staff and other attendants. Air Shuttle Porto Velho / Hostel / Old Port will be operated with Gran-Caravan and Seneca aircraft as the airline availability! The air transfer to the lodge is operated by GRAN CARAVAN and SENECA aircraft. 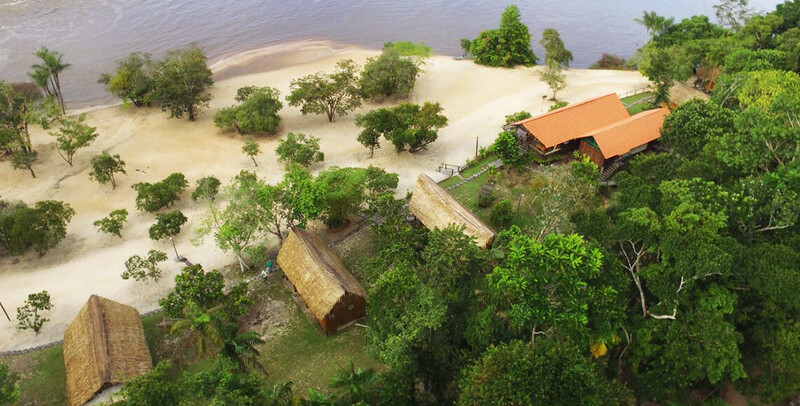 Access to our hostel is made only by air because there are no roads, neighbors, deforestation and farms, only fully intact forest and preserved as at the time of discovery, making the most preserved and unspoiled area of Brazil. Small groups can be merged with other groups. For visitors who do not wish to have their merged with other group members, one can hire private service! VALUES AND RESERVES – Please ask for our contact form, email or phone! We offer special discounts for groups of 14 guests. 30% input on the booking confirmation and the rest may be divided into fixed monthly installments up to 30 days before departure! Normally our packages are for 05 or 07 full days, however may be more or fewer days subject to availability. Day 1 – 06:00 departure by air Porto Velho / Hostel, arrival 07:20 – Shortly after arrival commencement of activities such as hiking trails and observation tower, boating on the rivers Roosevelt, Madeirinha and iguarapes, as well as overnight stays in the jungle in outposts (must be pre booked), visit to the pits where it can be observed birds and animals of all species. For max group size 04 participants will have a boat with a guide at your disposal during the whole package. On the boat as well as the hiking trails offer water and soft drinks already included in the daily. In the boating can be served lunch in the jungle by our guides (cheffs) with delicious fish caught in time, as well as bathing in beautiful beaches, descents by innumerable rapids, visiting the impressive waterfall of Santa Rita. Another tour suggested are the hikes by boat by existing iguarapes long as there is possibility of shipping due to the water level or any desired activity by the participant. Weather permitting, at the end of the package offer a Luau on the beach in front of the inn. We offer sinkers of all sizes to fishermen with market prices in order that your luggage has not excess weight. We have in our bar, wine cellar, with extensive wine list and sparkling (national or imported), as well as whiskey, cachaça and liqueurs. We only practice the sport fishing, all the copies shown in the photo gallery were returned to their habitat! Enjoy the great variety of fish with the best guides in the region. Admire the beauty and dazzle of various native birds of the Amazon rainforest in our trails and observation tower. Disbrave the Amazon forest glimpsing all its beauty and perfection.